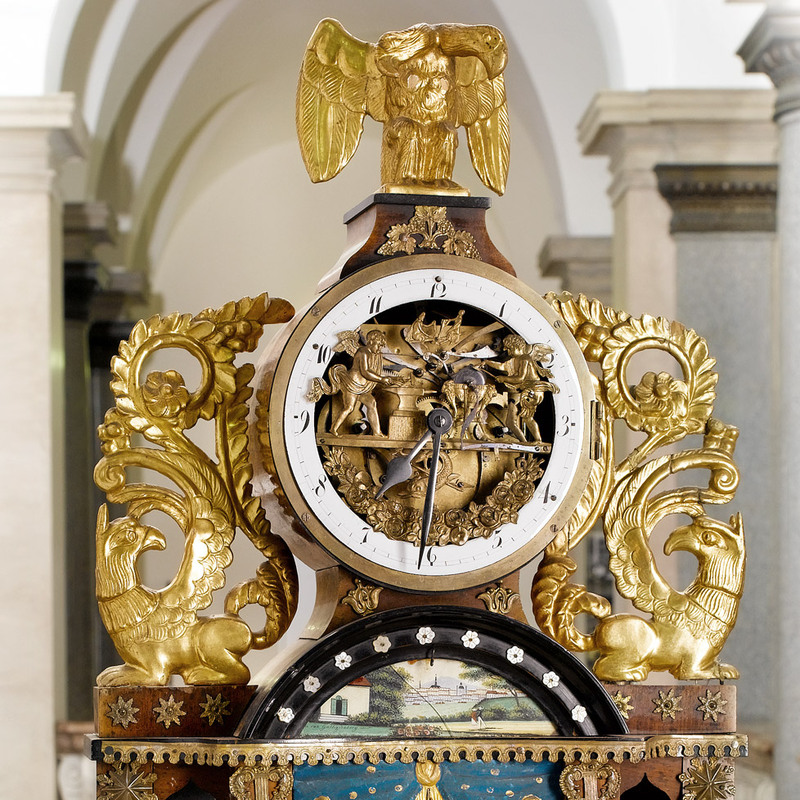 Collection 1 presents the historical development of the clock in general and includes exhibits of different technologies in 11 display cases (A to K) – from wall clocks from Bohemia to 19th-century German skeleton clocks through to intricately worked pocket watches from Switzerland. The collection begins in the main entrance hall and extends via the main staircase up to the 3rd floor. There is an exhibition catalogue for each collection available at the information desk in the main entrance hall. Collection 2 is on the 2nd floor. 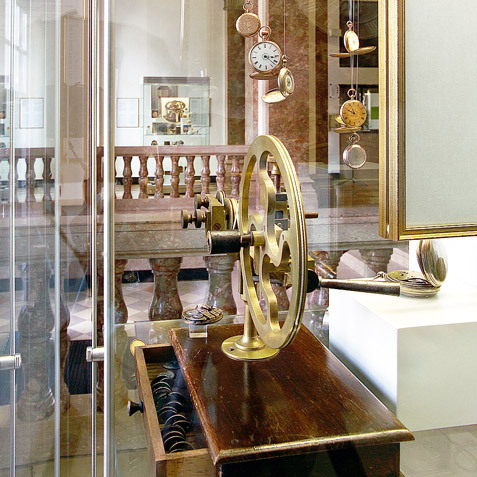 Here, 6 display cases give a compact view of 500 years of the development of portable clocks – from Peter Henlein to the radio-controlled, solar-powered watch. 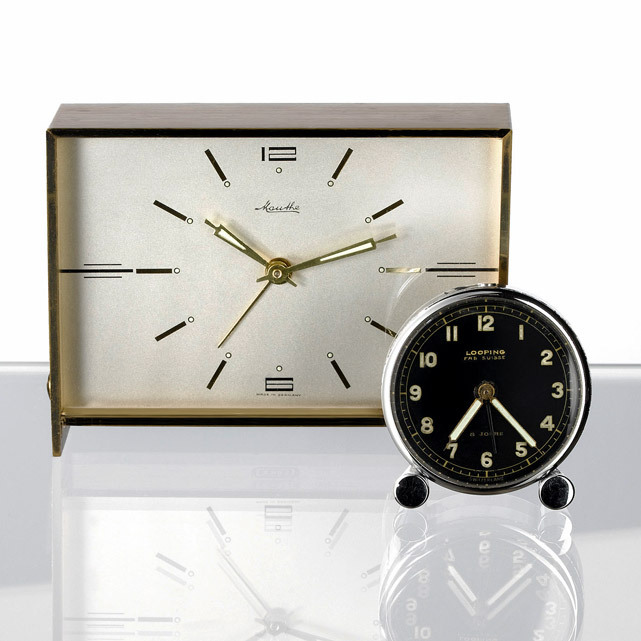 For example, enamelled gentleman's pocket watches set with precious stones from Paris, Swiss tuning fork watches and recent radio-controlled and solar-powered quartz watches. 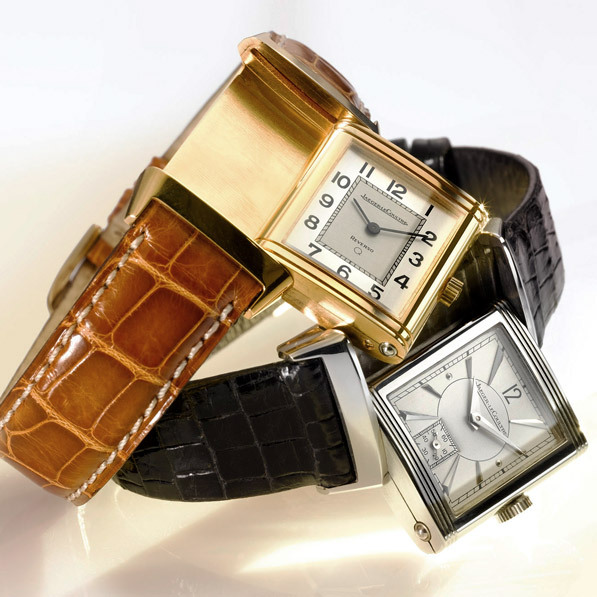 On your visit don't miss taking a look into the horological library on the 3rd floor. Alongside literature on clocks large and small, the visitor will also find publications of the "Freunde alter Uhren" (Friends of Old Clocks). 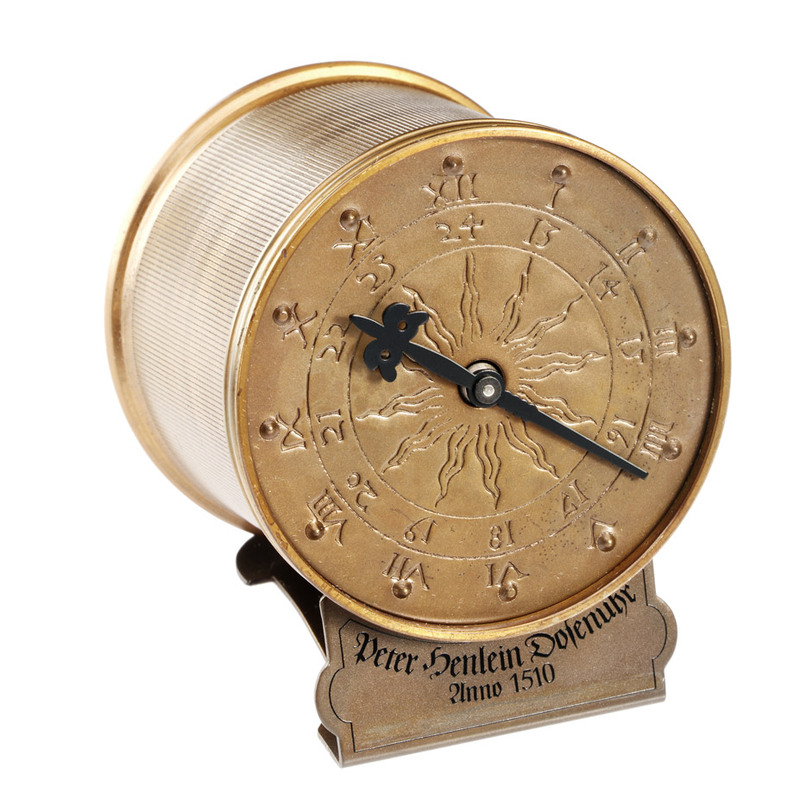 The library of the "Deutschen Gesellschaft für Chronometrie" (German Chronometric Society) provides a comprehensive collection of horological knowledge. The library's collection is cared for professionally and is continually growing. The library is open on Tuesday from 10am to 4.30pm and on Friday from 3pm to 6pm or by appointment.